Do you ever get bored with the same old vegetable side dishes? I do. I seem to have food ADD!! Well, in winter sometimes it is hard to fulfill my need to eat interesting vegetables beyond steamed or roasted broccoli. And although I love many of the root vegetables, roasting them can get old, and I really don’t like purees (I think it’s a texture thing. It feels more like drinking or something. I need to CHEW my food for my stomach to register it!). But I do love interesting chopped salads. The less lettuce the better. I was looking to make something with celeriac or celery root because it is a good winter vegetable, readily available, and high in vitamin K, moderately high in vitamin C, phosphorus, and potassium. But beyond pureeing, I wasn’t really sure what to do with it. 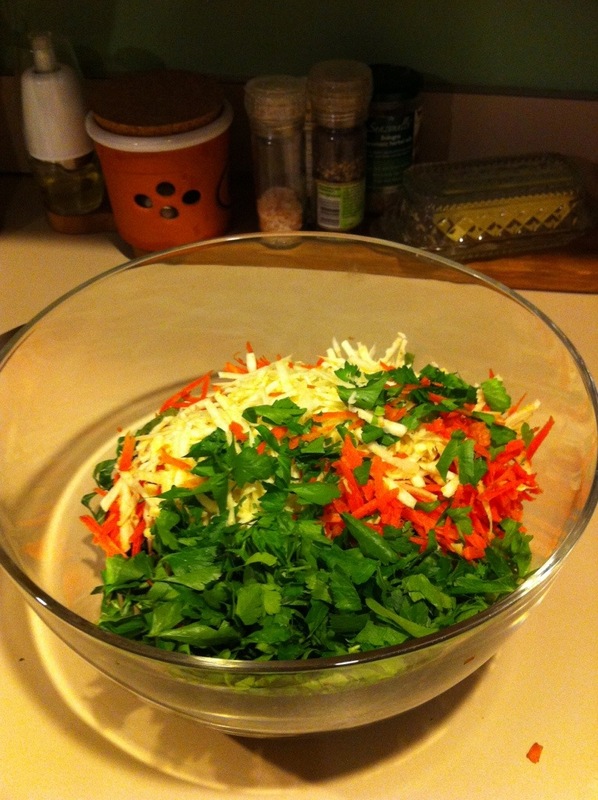 Then I thought of some sort of slaw … and voilà! 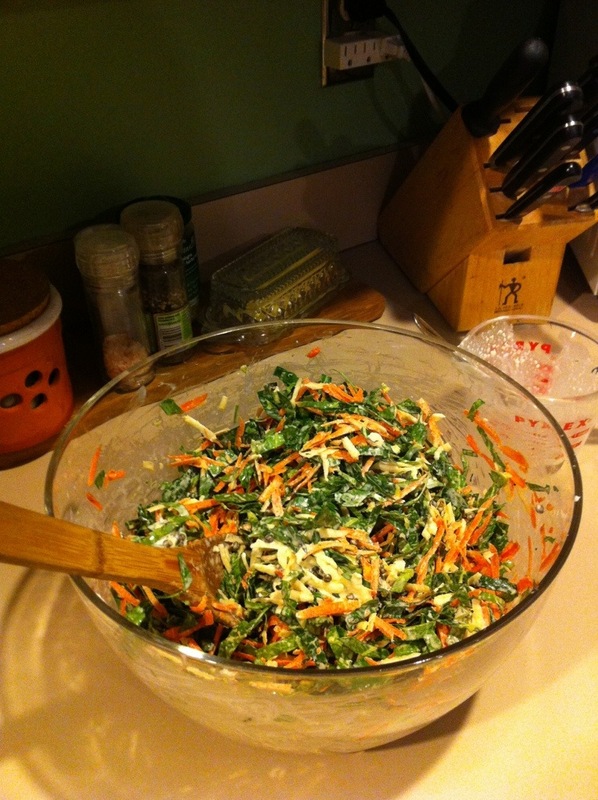 This is a rather hearty vegetable salad due to the texture of the collards and the two root vegetables. 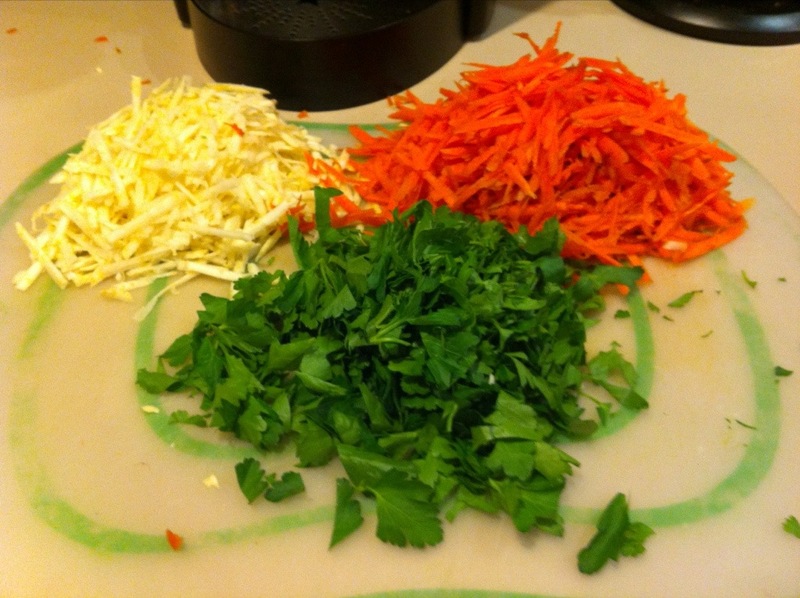 Perfect for a winter meal … when you are craving some raw veggies! I chose collard greens due to their ready availability in the winter, and because I’d never had them any way other than sautéed with bacon fat. 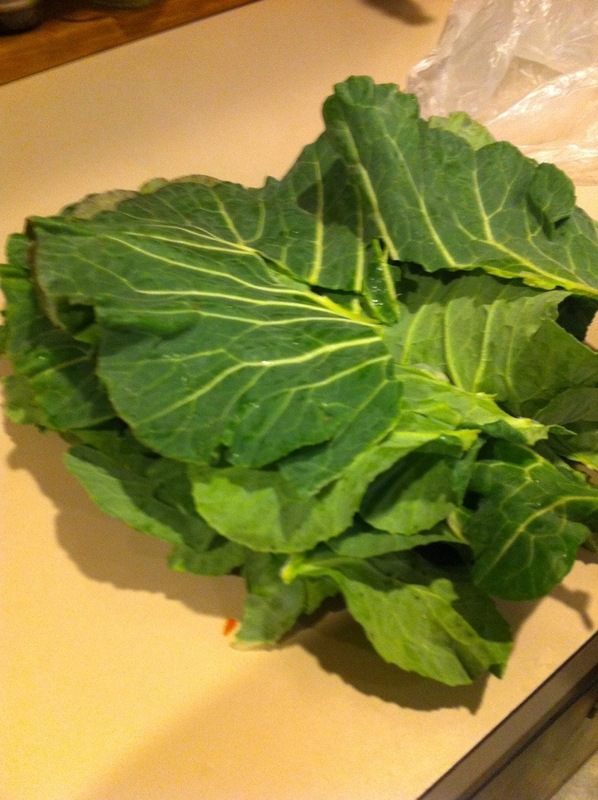 I knew the slaw needed a hearty green, and the collards just called out to me in the store. From a nutritional standpoint, they rank high in vitamins K, A, and C, and pretty good in Folate. **I haven’t tried it yet, but if you are AIP and don’t tolerate egg yolks (in the mayo) I would think you could substitute an equal amount of olive oil without changing the overall taste a whole lot. 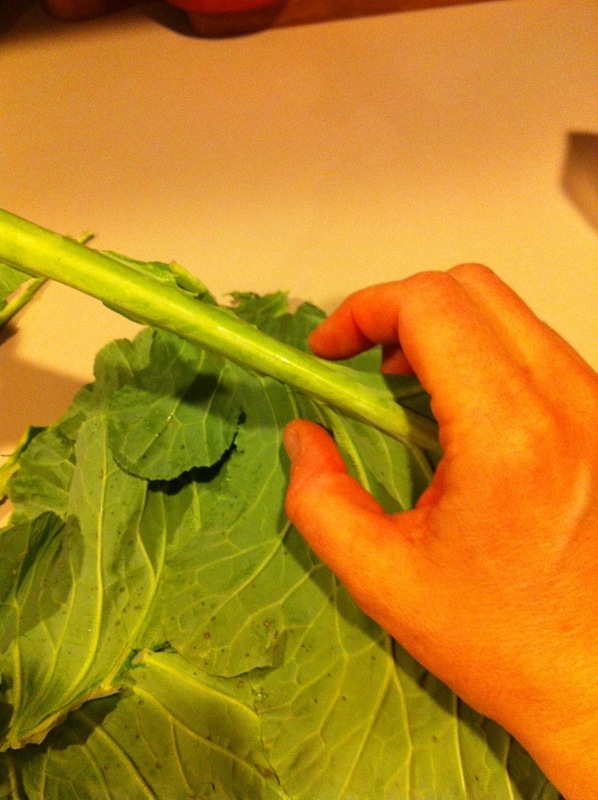 First take your collard greens and separate out the tough stem from the leaves. Wash the leaves and pat dry. Then stack on top of each other. 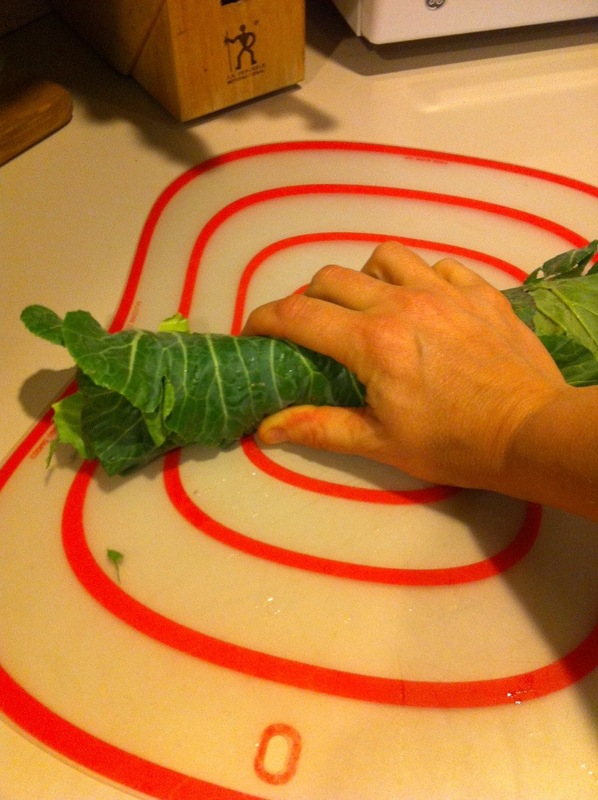 Roll into a tight cylinder. Peel and grate the celeriac and carrots. 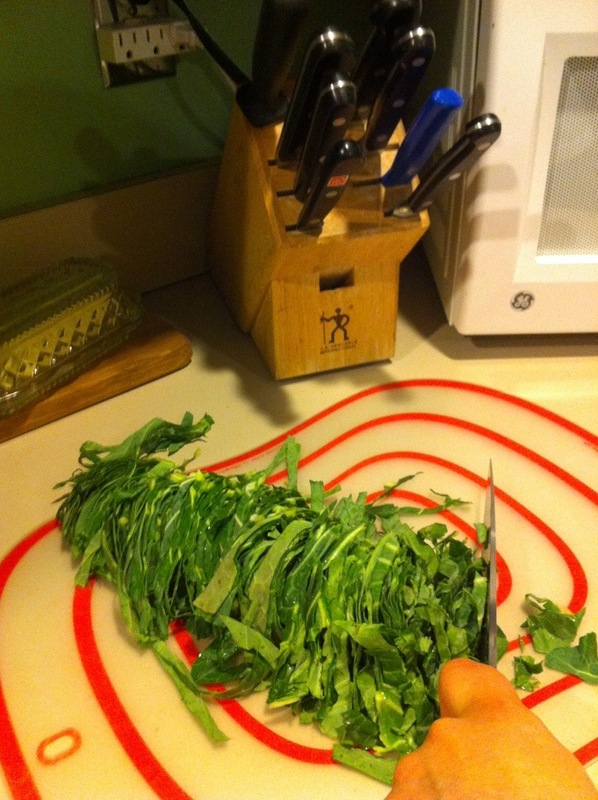 Rough chop the parsley leaves. And toss together in a large bowl. 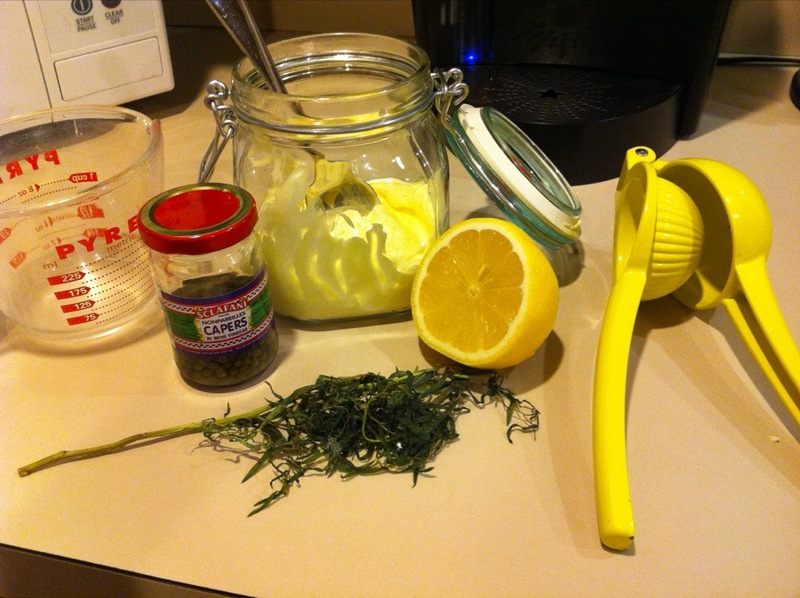 To make the dressing, mix the ingredients well, and pour over the salad, tossing until well coated.